On Sunday, September 9th, Colin's friend and neighbor, a member of Rescue 1, New York City Fire Department, was his usual thoughtful self. He came to Colin's home on a quiet Orange County road to see how he could help with some tree trimming. On Monday morning he came back with one of his two young sons - who was just starting kindergarten - to tell us he could help on Thursday, the 13th. By Monday evening he was again on duty in Manhattan. On Tuesday morning, September 11th, in the line of duty, he, with his peers in Rescue 1, entered the New York City Twin Towers. He and many of his peers died helping others. In his honor, to honor his colleagues and all others lost, and to remind America visually and forever of our historic ideals of bravery, generosity, kindness, and compassion, the proposal is made to make a small, but telling, symbolic addition to the American Flag. "Let there be two new vertical bars, one red, one white. They would be the width of the current stripes and should be placed, red first, then white beside the blue field of stars and be of the same height as the blue field. Their vericality would reflect our strength. The red bar would symbolize those neighbors, fathers, sons, daughters and unknowns whose generous bravery is second nature. The white bar is added as a reminder throughout the world of my neighbor's kindness and compassion, and of our nations's continual intended kindness and compassion. White, alone, is suitable to stand for those two desirable virtues to which we should aspire. 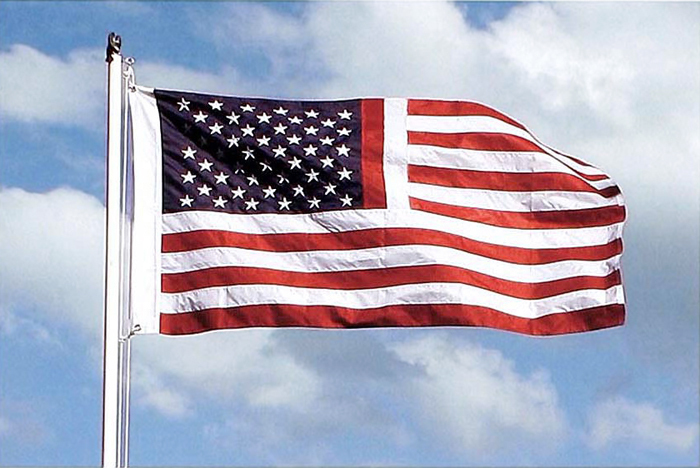 Both additions would maintain the continuity of color and shape within our flag and would preserve its presence. The white of compassion would further be seen to flow throught the flag." Colin believed this quiet addition would enrich our flag which has several times been altered to make it more inclusive. In no way does it detract from the flag's history, but adds to it. Let this small acknowledgement of the spitit of our fellow Americans remind us of our society's successes - and unmet promise.